Free from Devils Claw, Safe to use with competition horses. If competing under FEI rules, the active compound in Devils Claw, Harpagoside, has now been moved on to the FEI controlled medication list for 2016. 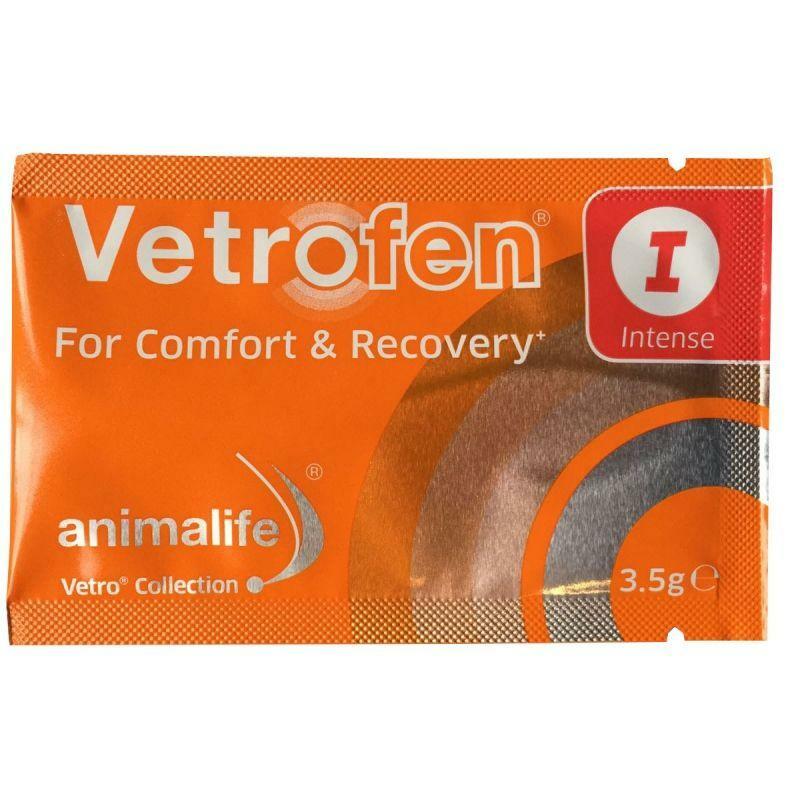 Vetrofen, which contains no prohibited substances, offers a safe alternative to any Devils Claw products. Vetrofen Intense is the number one vet-approved 100% natural alternative to Devil’s Claw for horses. Suitable for daily use, Vetrofen Intense is a natural formulation, which does not contain phenylbutazone. It assists the body’s natural inflammatory response and has important antioxidant properties to maintain comfort and flexibility.